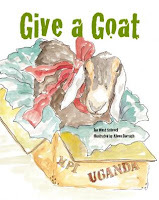 This true story of a fifth-grade class that raised money to donate to Heifer International was written by the daughter of the organization's founder. Jan West Schrock grew up in a house where philanthropy and community were integrated into family life. As a career educator, Mrs. Schrock had many opportunities to travel and work with children around the world and to see in person the impact of "passing on the gift." Investing in families by giving them a goat (or a cow or chickens or...) provides them the opportunity to feed their families and improve their situation. "Passing on the gift" requires that the family pass on a baby goat or chicks to another family and so on throughout the community until all the families have increased their standard of living. From a tiny idea, Heifer has now helped more than 8.5 million people in more than 125 countries - even in the U.S. The idea that even "regular fifth graders" can change the world is an inspiring story that deserves to be shared with young children so that just like Mrs. Schrock, they will grow up with an understanding of the importance of helping others and building communities. Watercolor illustrations by Aileen Darragh complement the story by bringing the kids and their journey to life realistically and with a dose of humor. At the Tilbury House website, there are curriculum activities and lesson plans that will help teachers integrate this book into a larger unit on global issues, world poverty and hunger, philanthropy, and the importance of helping others through service learning. This is a terrific story of how anyone and everyone can make a significant difference in our world - an increasingly important message as we prepare our students to become 21st century global citizens. I loved this story. When my son and I sat down to discuss what to get his teachers for holiday gifts, we decided to sponsor chickens, ducks and geese in their names! Heifer Intl makes it easy to do online and print off gift cards. It's not that hard to make social responsibility part of your gift-giving plans. Thanks for sharing that, Dodie. Perhaps this holiday season as we focus on the things that matter most to us, more people will discover how easy it is to share with others. Stay tuned later this month for an interview with author Jan West Schrock. 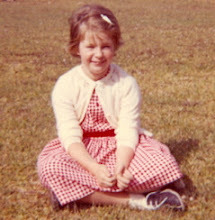 Crazy For Kids Books will be part of her author blog tour.